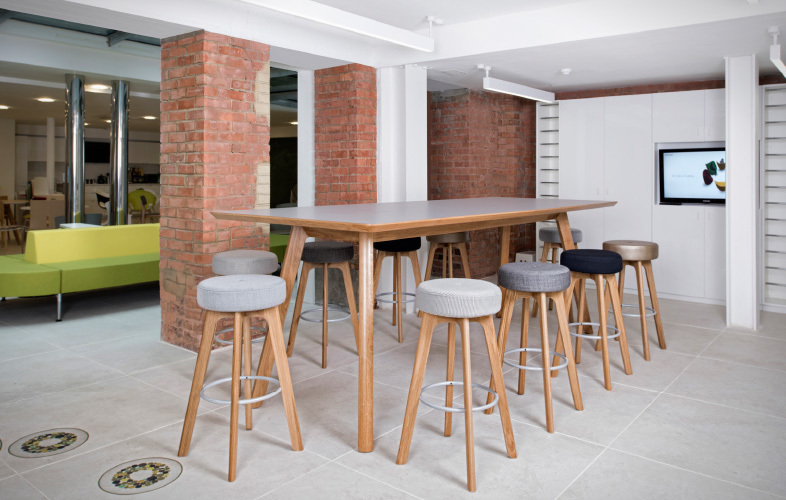 Choose simple tables and mix fabrics and finishes on tall stools, to create an informal, upmarket bar feel to a breakout space. 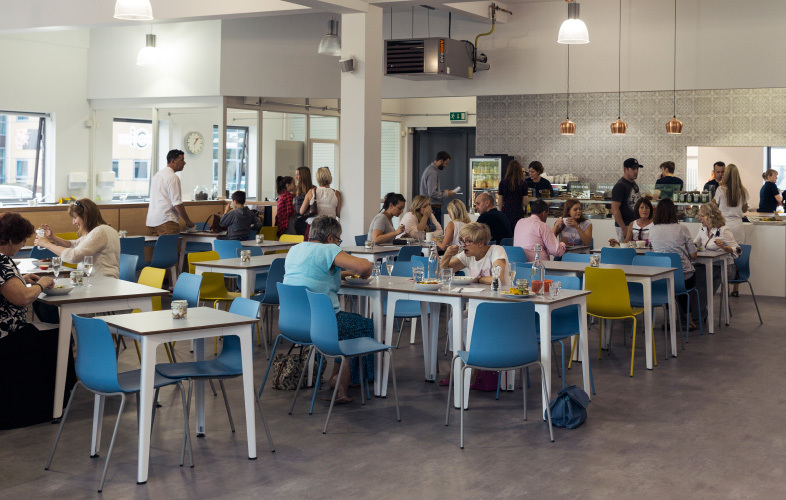 Reflect the personalities of individuals with a non-matching approach to chairs, adding a sense of fun and increased visual appeal. 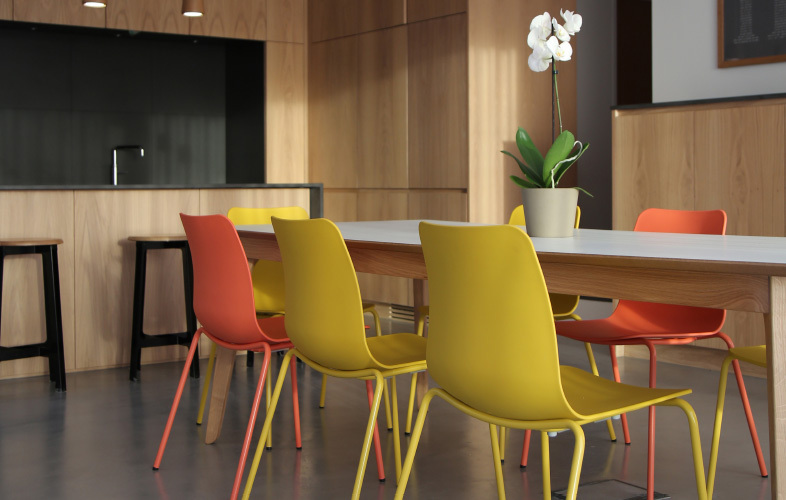 Combine hardwearing, brightly-coloured, stackable chairs with simple. 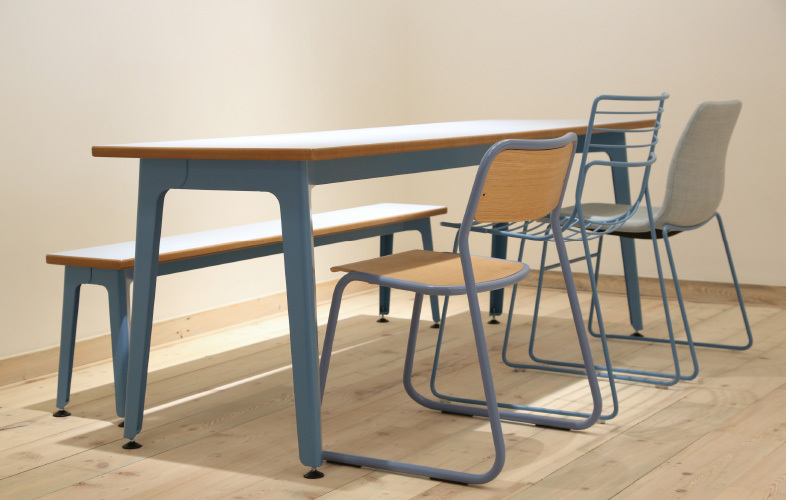 functional tables to create a contemporary canteen space. 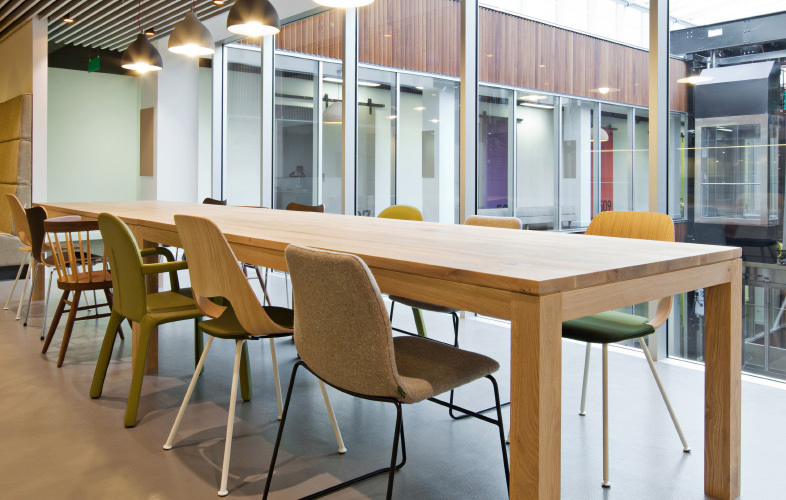 Twin soft-topped benches with matching stools around statement tables and watch the brainstorming magic happen. 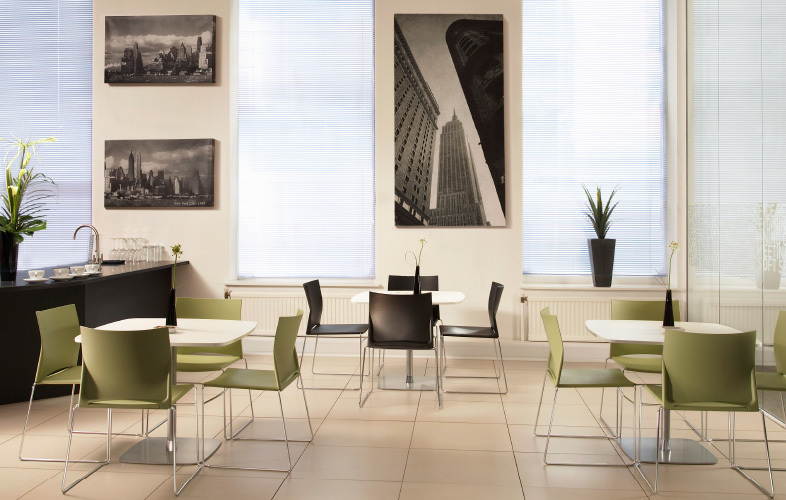 Clash contemporary colour with formal functionality to provide inspirational incubators for creativity. 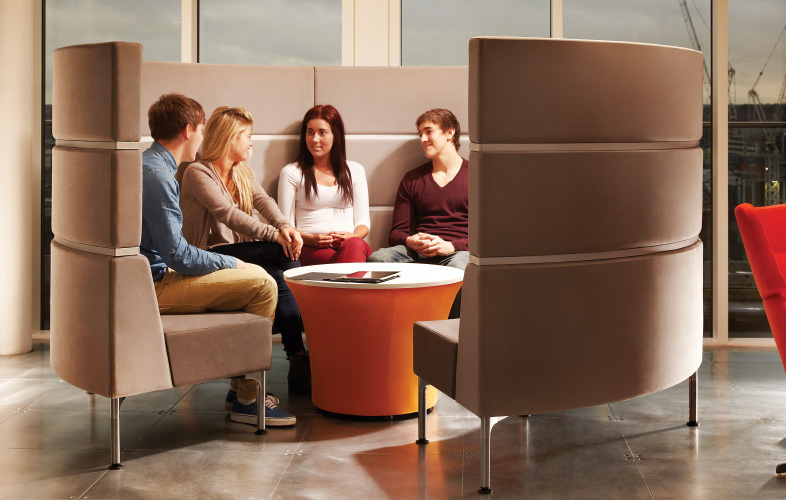 Luxurious breakout spaces provide private places to discuss opportunities for personal growth and business development. 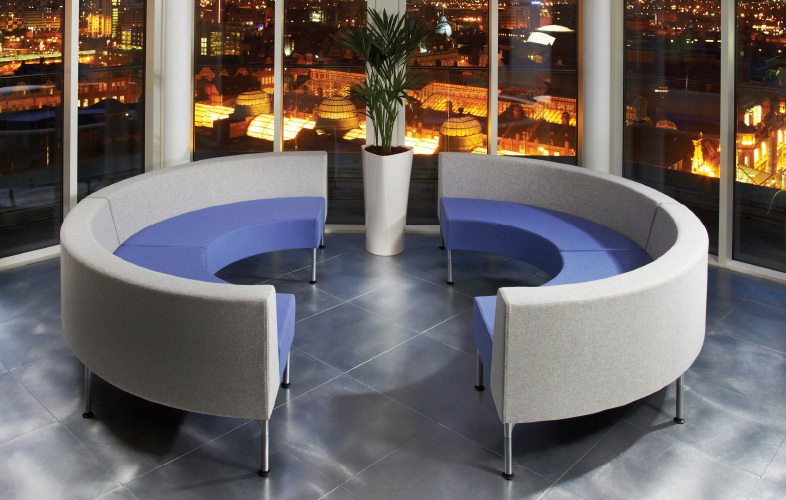 For waiting places or window spaces, choose pieces like this, which work as art when they’re not being used as functional furniture. 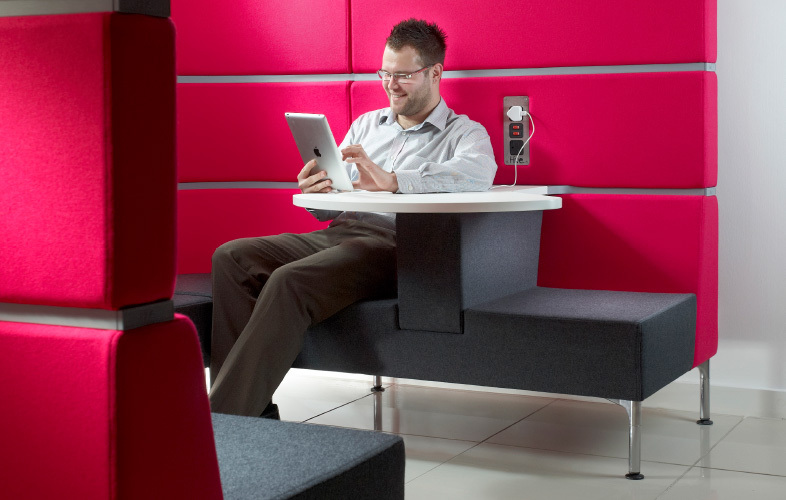 These modular systems create effective screens from the hustle and bustle of the office, for those quiet moments of contemplation. Go full interior designer mode - mix stunning styles, muted materials and fabulous fabrics to create mini minimalist masterpieces. 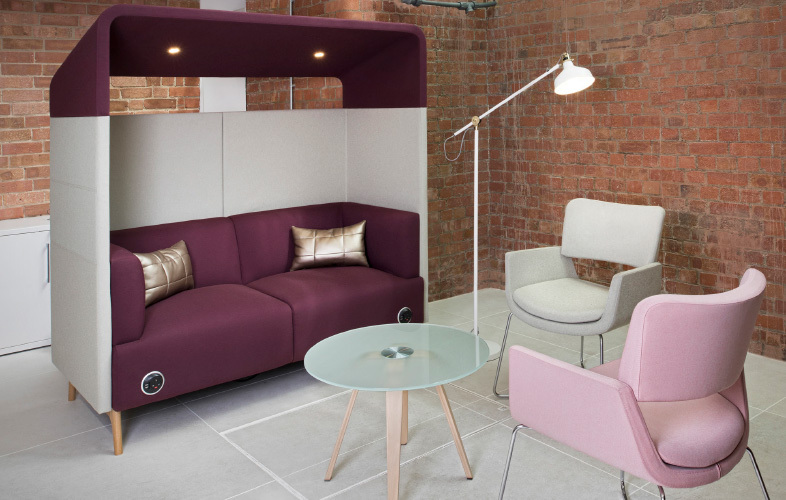 Mix mellow pastels with bold booths, throw in a reading lamp and a pinch of bling and you’ve got a recipe for people prosperity. 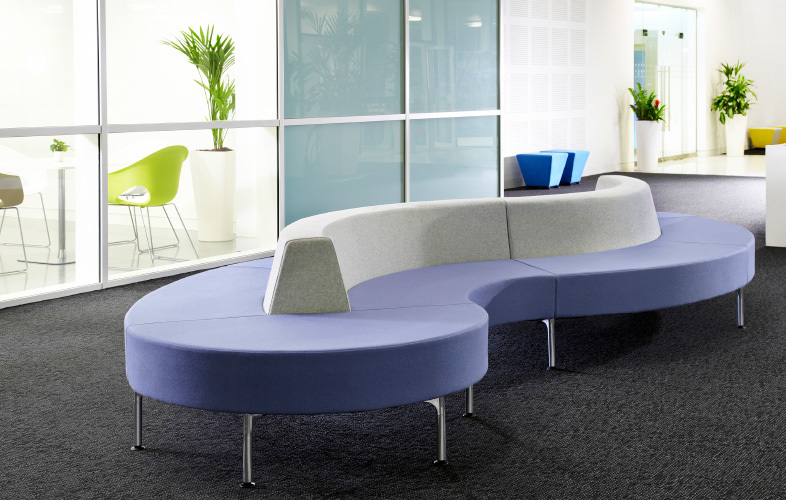 Create a sense of flow with organically sculpted soft seating and create inviting stop-off spaces for spontaneous communications.